An Opinion On Sports: How Did Everything Get so Bad at Georgia? Georgia lost to Tennessee by the score of 45-19 Saturday afternoon in Knoxville. Before this season began, I really didn't think I would see a Bulldog team look that bad and get whipped that thoroughly for a long, long time. I thought with the talent level that Mark Richt had stockpiled in Athens, that we would just reload and not have to worry about being rebuilt. I thought we had reached the level with our program that we could compete with anyone else in the country, and play them even or better. I further thought that we had perched ourselves beside Florida on that top tier in the SEC East, which means the entire SEC by the way, and it would be Tennessee who would have to completely rebuild to join us on that perch. As you can see, so much for my thinking. 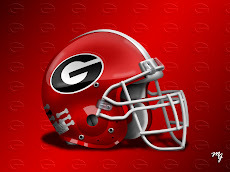 I've read most of the blogs and media articles about Georgia in the past twenty four hours, as I have been all season. 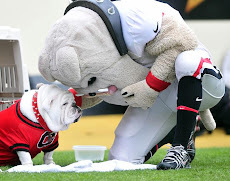 I understand all the viewpoints as to why Georgia has digressed as a football team week by week this season, and I have had my own theories as well. 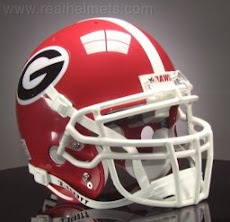 But to be quite honest with you, as we now have fallen back to the "Donnan Dawg" years as an inadequate team, I really don't know what I think is wrong in Athens. We have talent, facilities, resources, revenue, and support. We have it all at the University of Georgia. We supposedly put in the same effort and hours year 'round that everyone else does. We just don't seem to be able to put it all together on Saturdays. I have no idea why we can't do that, but I know that we do not play smart. We play with the Jacksonville mentality all year long now, whereas we used to save that for our annual participation in the Cocktail Party. 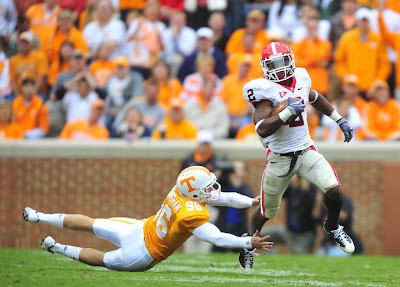 We don't seem to execute like a UGA team used to, nor do we seem to "get after their asses" (GATA) anymore. We aren't hungry and crazed; we're lackadaisical. Why? Again, I have no answers. But I'm really tired of speculating. And I'm tired of finger pointing, just as I'm tired of lame excuses coming out of Butts-Mehre. But most of all I'm tired of seeing highly touted athletes and very adequately paid coaches perform so poorly, and with too little emotion. I'm just tired of it all. Why? Because that IS NOT Georgia football, and something is wrong in Athens.